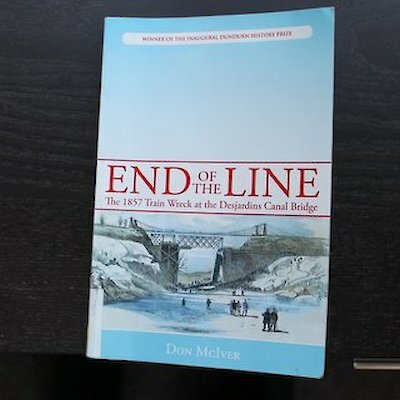 I’ve just finished reading a new book titled, “End of the Line” by Don McIver. This interesting book talks about a major train wreck in nearby Hamilton, Ontario. It also contains lots of facts about Samuel Zimmerman who died in the train wreck. Zimmerman, who was in his early 40’s when he died, was a railway contractor but he was much more than this. 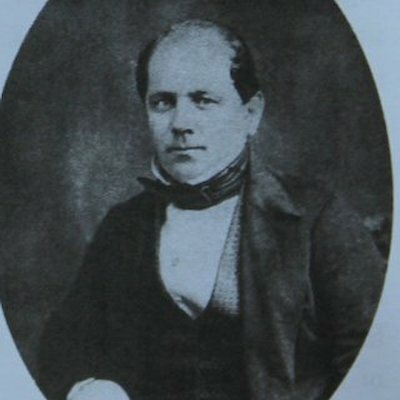 In the mid 1850’s he lived in Niagara and owned most of the land near the falls. The entire west side of the present day Clifton Hill was owned by Zimmerman. 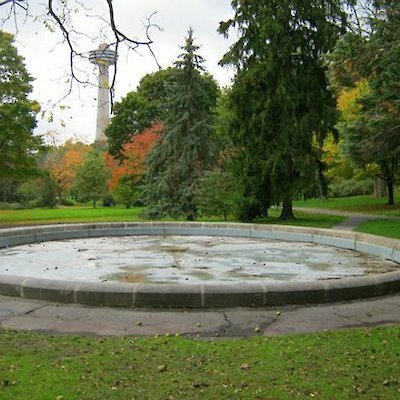 One remnant of his ownership is the Zimmerman Fountain pond built in 1853 at a cost of $15,000 (lots of money in those days) which still remains today at the northern entrance to Queen Victoria Park. This was the same year that he pushed for the incorporation of a town near the falls called Elgin. A few years later it was renamed Clifton which later became Niagara Falls. 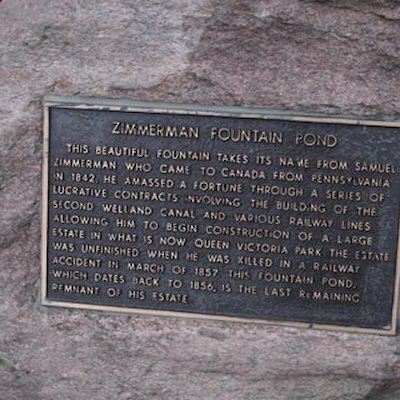 Hence, Samuel Zimmerman can be truly called the founder of Niagara Falls, Canada.